↑ 2.0 2.1 2.2 2.3 "Azerbaijan". International Monetary Fund. Retrieved April 17, 2012. 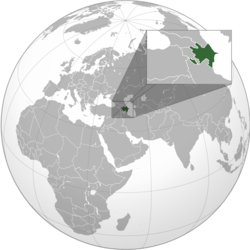 ↑ "The State Statistical Committee of the Republic of Azerbaijan, Administrative and territorial units of Azerbaijan Republic". Azstat.org. Archived from the original on 12 May 2011. Retrieved 2011-05-22.